SCVHistory.com | General Interest | NTSB: Probable Cause Report on Experimental Plane Crash, 7-18-2009. NTSB: Probable Cause Report on Experimental Plane Crash, 7-18-2009. 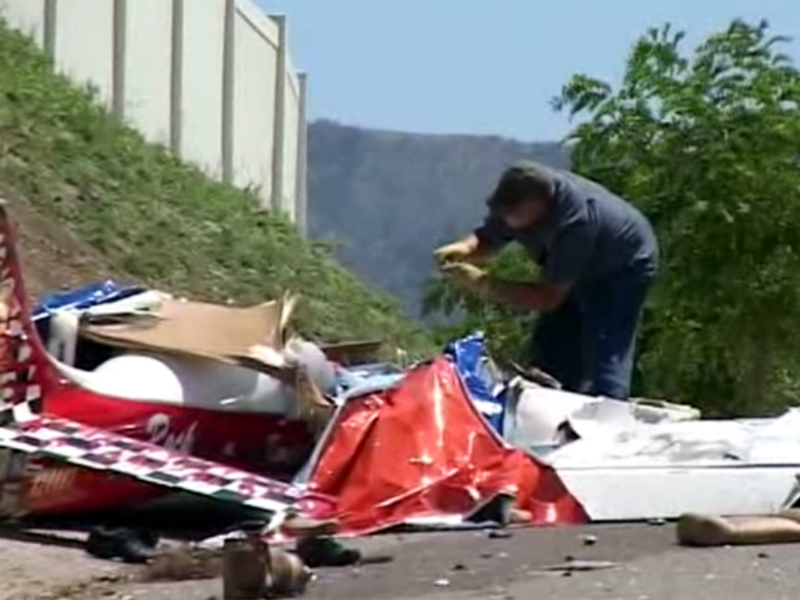 A witness in the area of the accident observed the low flying airplane enter into a steep, almost vertical, climb. Near the top of the climb, the witness thought that the engine power was reduced to idle and that it appeared that the airplane stalled during the vertical maneuver. The witness estimated that the airplane tumbled two or three times before entering a downward spiral. The airplane then made two full rotations in the spiral at a 45-degree angle until it impacted a roadway. The witness reported that he could clearly see the rudder and ailerons moving until the impact, and believed that the pilot was manipulating the controls in an attempt to regain control of the airplane. Postaccident examination of the airframe and engine revealed no mechanical anomalies that would have precluded normal operation. It is likely that the pilot failed to maintain adequate airspeed and control of the airplane during the maneuver sequence and did not have sufficient altitude to recover before ground impact. Toxicology testing of the pilot detected buprenorphine and norbuprenorphine in the liver and kidney. A review of the pilot’s medical history revealed that he had been under treatment for heroin addiction with buprenorphine at the time of the accident, but the role of any potential impairment due to his medical condition and/or the use of the medication could not be conclusively established. The pilot had not indicated either his condition or his medication use on his most recent application for a Federal Aviation Administration airman medical certificate. The pilot's failure to maintain adequate airspeed and control while maneuvering.